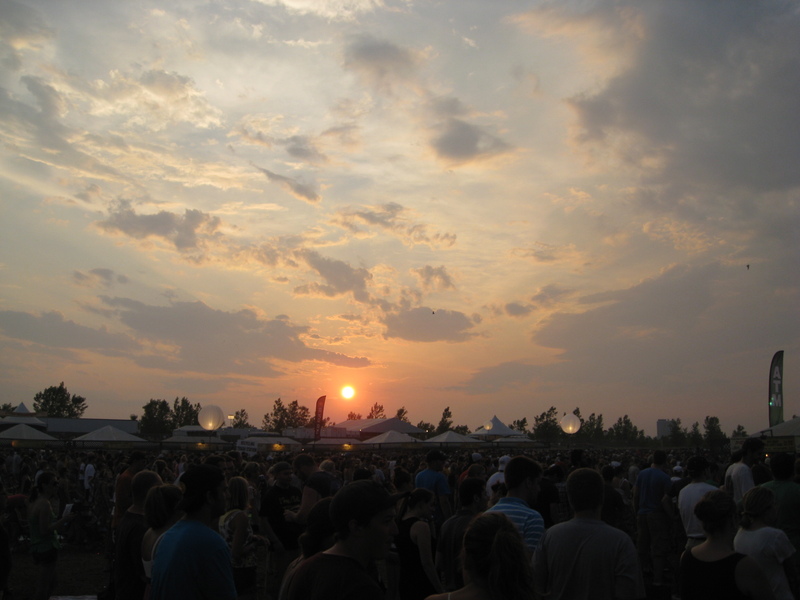 A beautiful sunset over the crowd at the final day of the DMB Caravan tour. The sunset is very deceiving as it set over a not-so-beautiful venue. This entry was posted in Amusement, Chicago, Life, Weather. Bookmark the permalink.